In November 2018 a group of Bath Spa University students were tasked with collecting information on repair activities in Bath. Working individually and also in groups, all students mapped current repair activity in Bath City Centre. In addition, some students carried out archival work in the Bath Records Office mapping repair from 1938 to 2018 (using Goad maps, plus trade directories). Other students conducted ethnographic fieldwork, choosing a more in-depth examination of specific repair practices in-situ. This fieldwork culminated in an individual report with the broad title Repair Cultures: Bath. 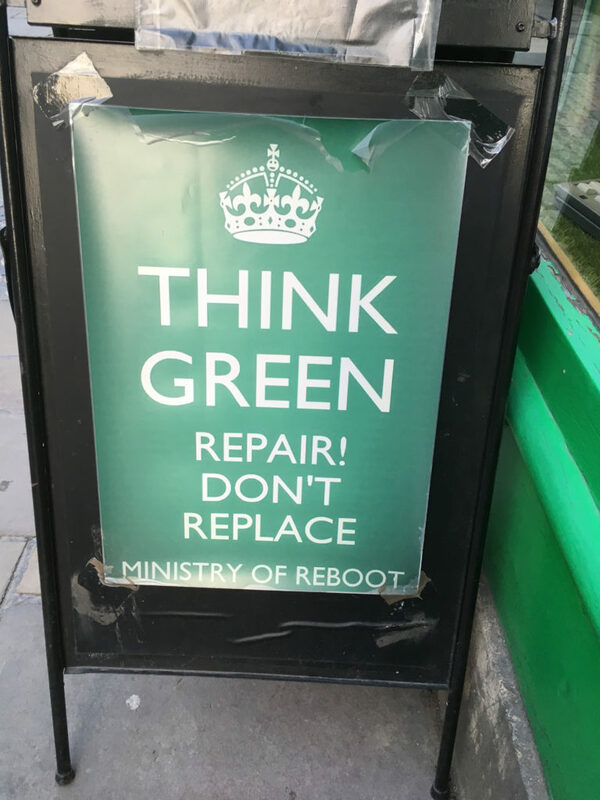 The resultant reports included a number of different interpretations and dimensions of repair in this field context: repair of the built heritage; repair of electronic items; clothing repair; repair of urban space such as guerrilla gardening and community gardening. The field based learning element acted as an enabling link between research, teaching and learning, which resulted in a better understanding of theoretical concepts, through making connections between student’s own observations in the field and lived experience. Pedagogically, students learned by doing, and through fieldwork and report writing, they conceptualized their experience of repair through critical reflection. Duration: Seminars; lectures; field activities over a three-week period. Tutors: Dr. Alma Clavin; Dr. Christoph Woiwode.